We’ve just begun our fourth year of hosting a, for lack of a better term, a homeschool variety club. This has been one of the best decisions I have made in our homeschooling journey and I’ll tell you why in this post. We usually have up to four or five families represented in our group every year and that’s a tight squeeze for my home. I don’t plan on ever making it any bigger than I can reasonably fit in my home and there are no fees. We keep this club educationally light and the kids have time to socialize as they wish before and or after our lessons. Since it’s my home I usually provide many of our supplies and one or two of the other moms will bring a snack (I provide water to drink). Starting your own homeschool club begins with finding one interested homeschool mom. 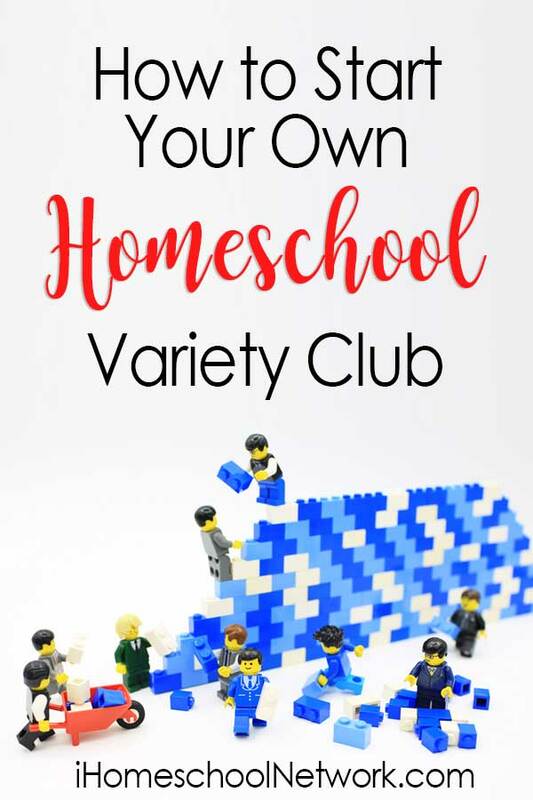 After you’ve found a willing partner the following steps will help you get your homeschool variety club established. What inspired me to seek to start this was our family’s abundance of LEGO® products that I wanted to put to better use. Find free LEGO printable and activities here. Plan a meeting with the other lead-mom and schedule out your year. In the beginning we planned every other week but over time that has changed to twice a month (the second and fourth Wednesday of each month). Decide who will lead each week or take turns. Will you need supplies? Just be prepared. Ask the moms to take turns bringing a light snack if you think you’ll need one. Since we are studying art/music history one of the moms has volunteered to plan related field trips to art museums. Depending on your theme field trips may or may not be desired. Tracy, formerly not a fan of homeschooling, can't think of a better way to educate her two sons and has been doing so for going on nine years. She blogs about homeschooling, travel and family fun in her home state of Ohio.